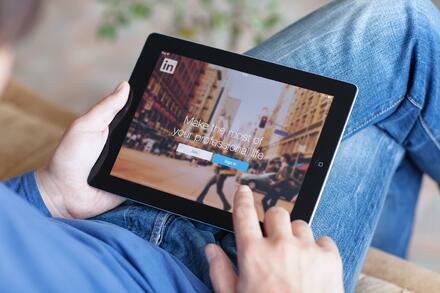 So you want to use LinkedIn to establish yourself as a professional. Maybe you want to network and showcase your expertise or create brand awareness -- whether it’s personal or for company gain. You need to put a strategy behind the person you want to promote on LinkedIn. People aren’t going to be interested in what you have to say unless you’re a trusted resource. Your professional LinkedIn profile can play an integral role in establishing your merit. It’s important to know your motives for optimizing your LinkedIn profile. What do you hope to gain by growing a notable, trustworthy presence? With whom do you intend to network? Establishing that foundation will provide the best method of approach because the potential benefits of LinkedIn’s professional market are far-reaching. Picture: This is a marketplace full of established and respected professionals – your profile image should fit accordingly. It’s not good practice for your photo to be in a social setting. The photo will display small but makes a big impact. Be sure it’s an appropriate setting, isn’t distracting and includes just your upper body. Headline: If you want people to see you as an expert and value your expertise, keep your current position and employer updated. If your employer or position is outdated, the network is going to think you are too. Summary: The importance of keeping this straightforward and concise cannot be stressed enough. This should include a brief description of your current role, how long you’ve been in your industry/career, along with any career changes and significant achievements. Employment Experience: LinkedIn profiles have become a functioning database of your working experience and resume. Whether you choose to accept it or not, people will make snap judgments on what you’ve done and for how long you’ve done it. Add in links to successful projects you’ve worked on or impressive portfolio items to tout your professional achievements. Extra-Curricular Experience: It’s also helpful to include any contributions you’ve made to your industry or community. This can include organizations, associations and volunteer experience. If applicable, also add foundations, chairs or board positions you may have or still hold. Officially recognized certifications and licenses are also great for establishing trust. Education: 50% of Internet users with a college education are active on LinkedIn (Pew Research Center). Don’t leave this part out, it’s just another step in establishing your value. Recommendations: The thing is, anyone can endorse someone for nearly anything on LinkedIn. This is why endorsements don’t have much merit. However, recommendations from someone who worked with you professionally go a long way in establishing your credibility. Request recommendations from trusted connections who know your work, and offer to do one in return for them. Resume: There is an option to add a resume to your LinkedIn profile, which is great for a variety of reasons. If you’re seeking employment or remain open to offers, put your resume toward the bottom of your profile (you can drag entire sections) because employers are now often using LinkedIn as a first point of reference when considering a candidate. Not too long ago a platform like LinkedIn didn’t exist. Now this invaluable resource full of similar business professionals who are ready to connect and are interested in what you provide (no matter what it is) are within reach. It’s not hard to get started, all you have to do now is market effectively and appropriately for the context in which you’re engaging. Subscribe to our blog to receive weekly updates directly to your inbox.